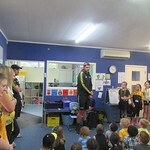 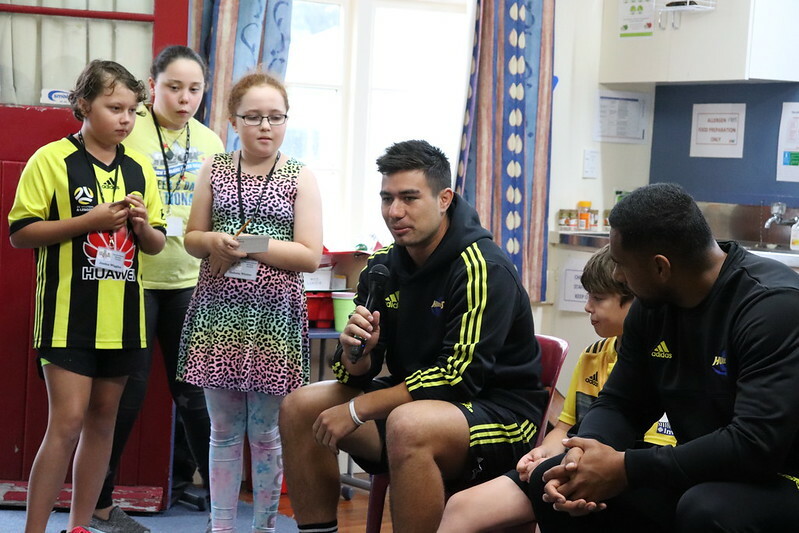 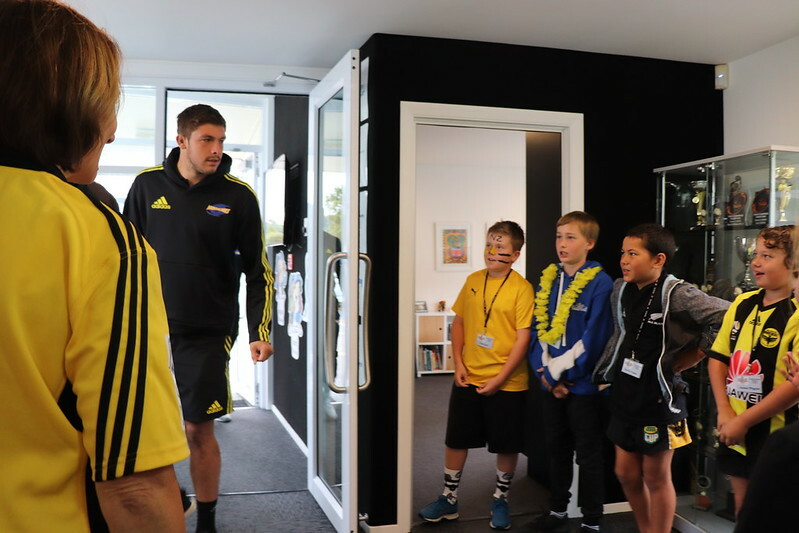 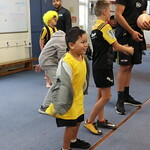 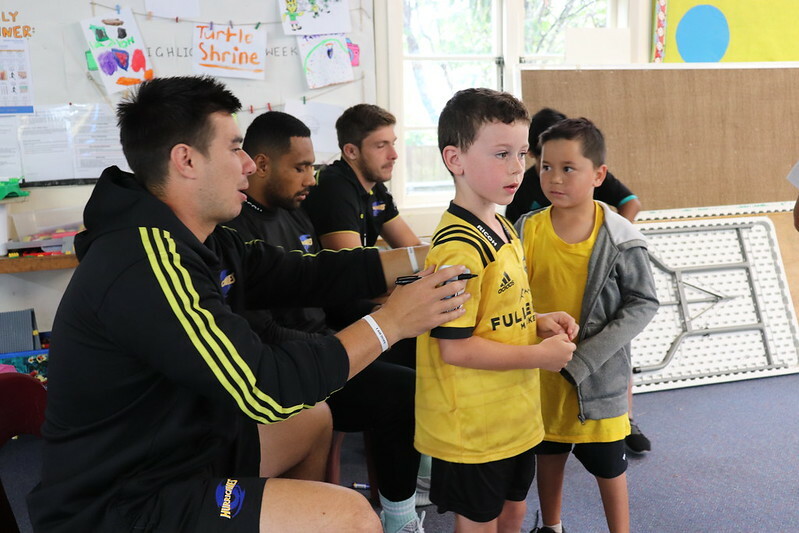 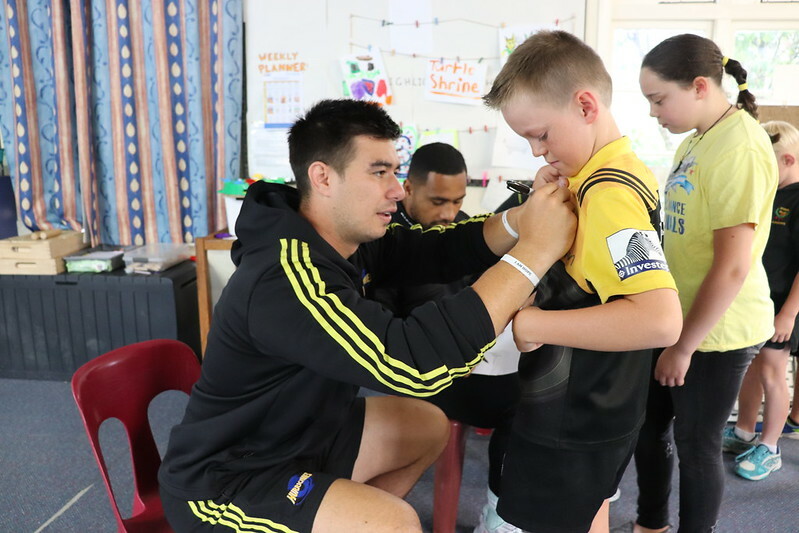 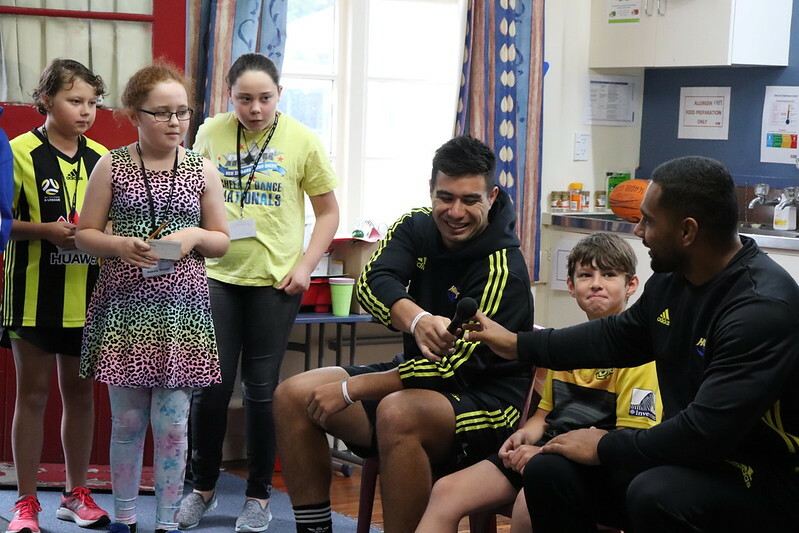 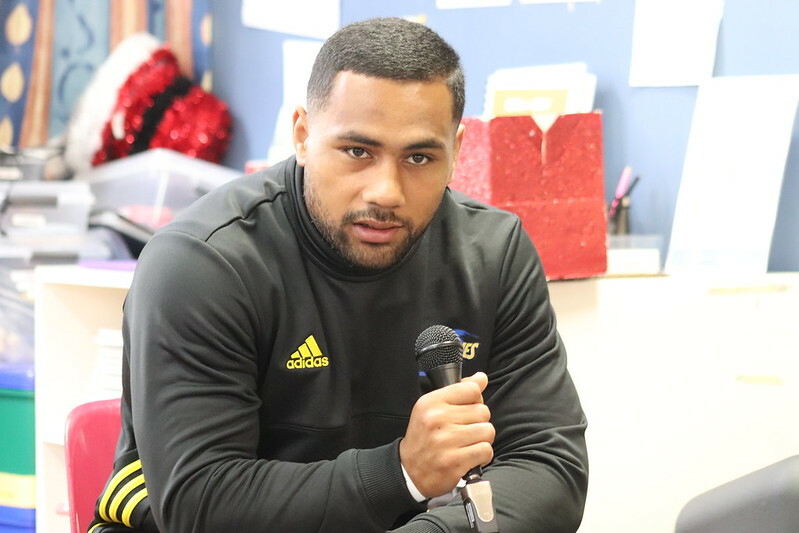 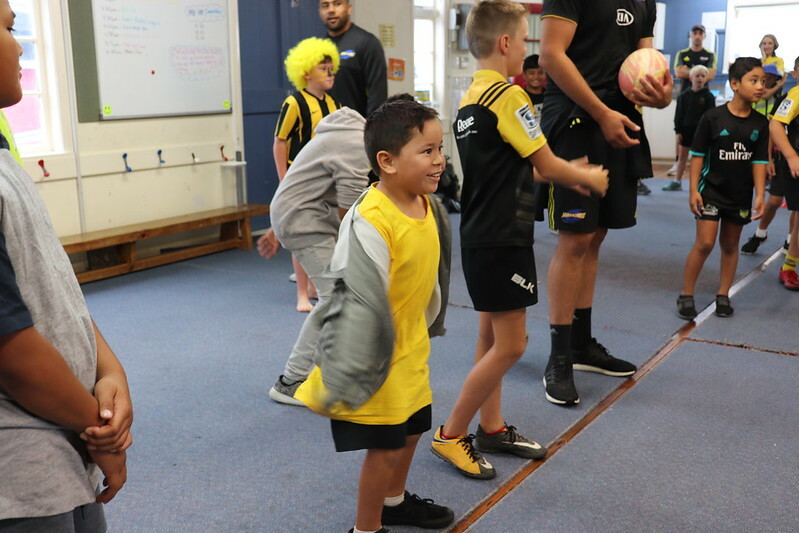 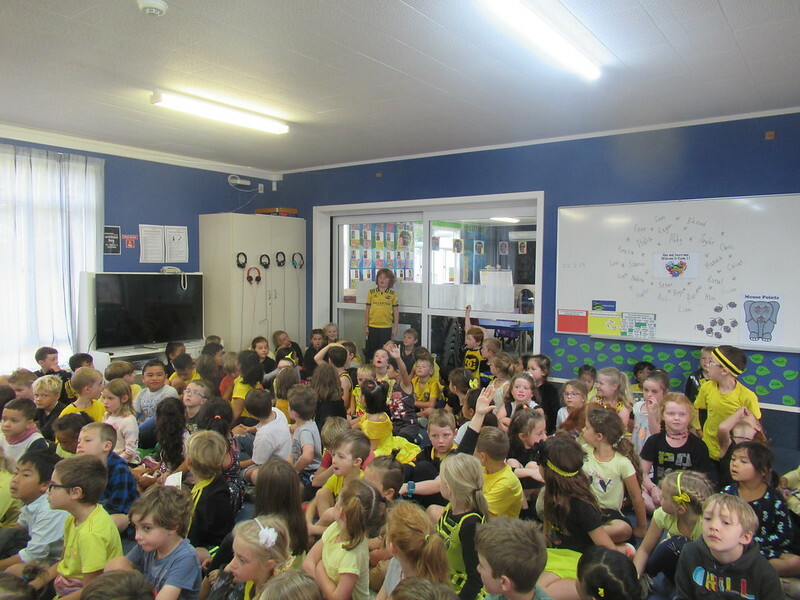 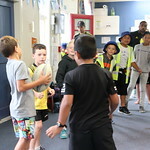 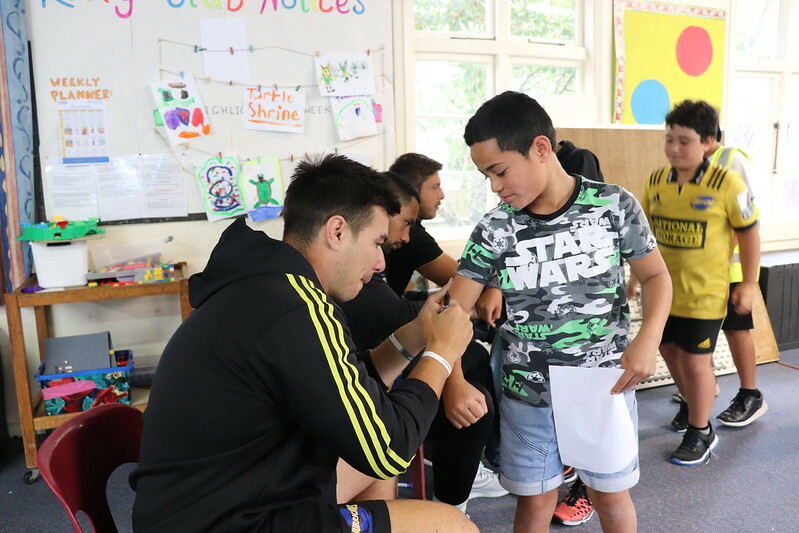 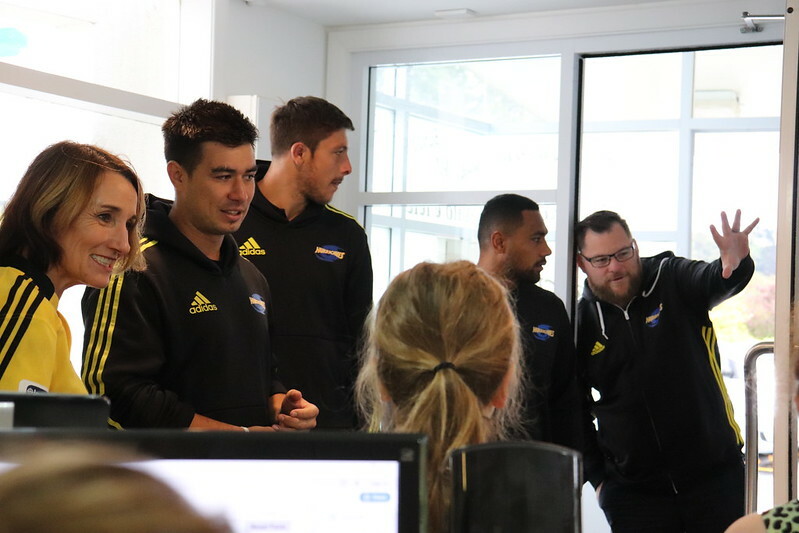 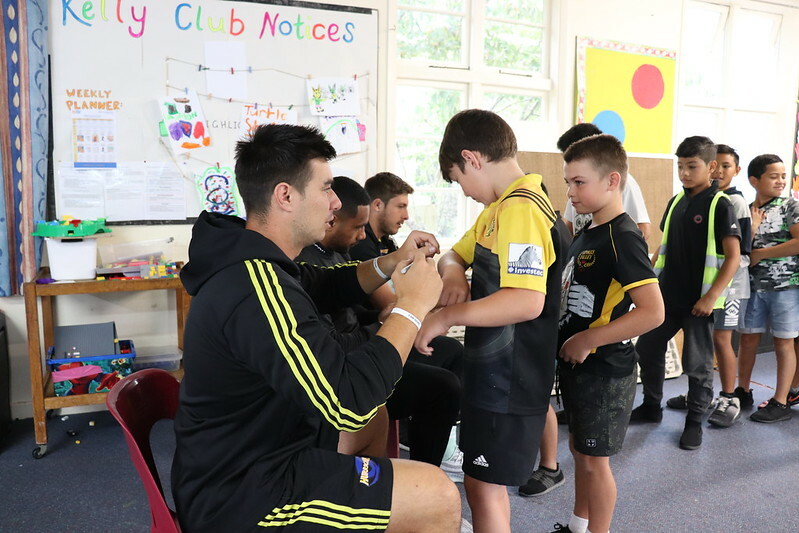 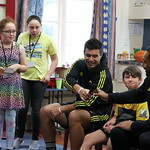 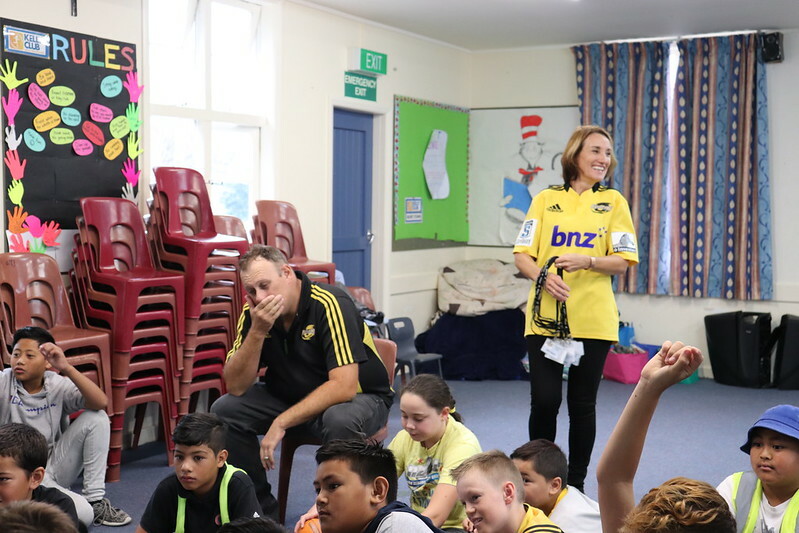 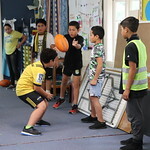 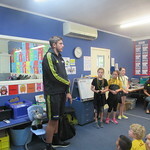 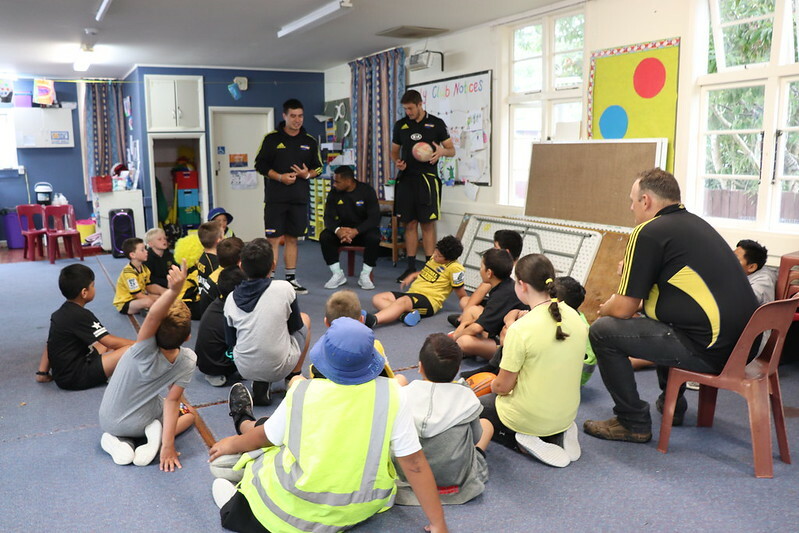 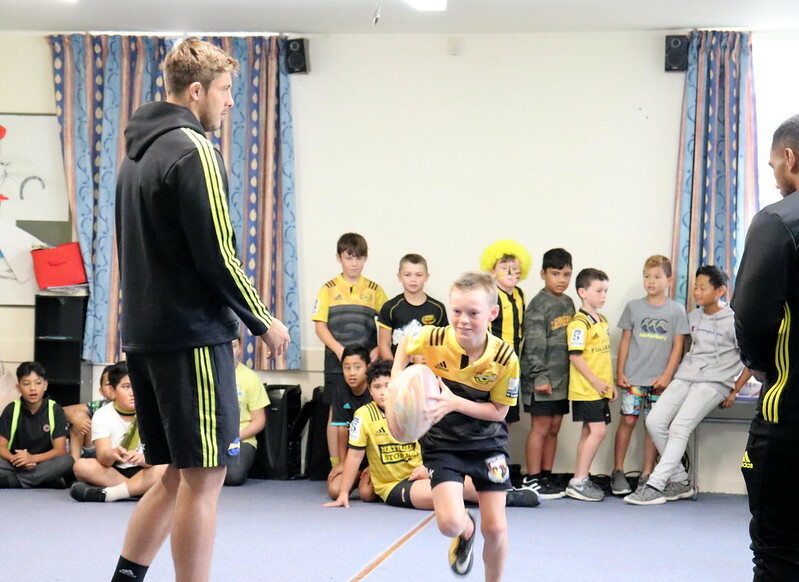 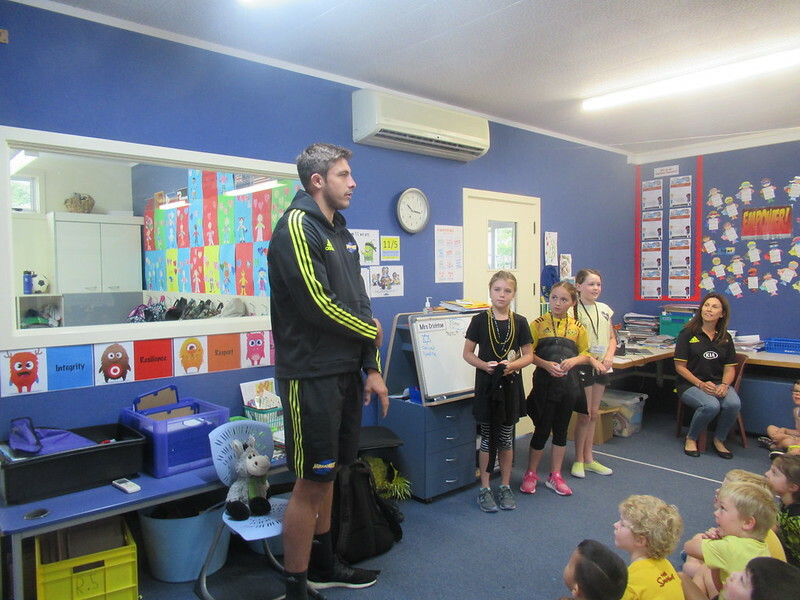 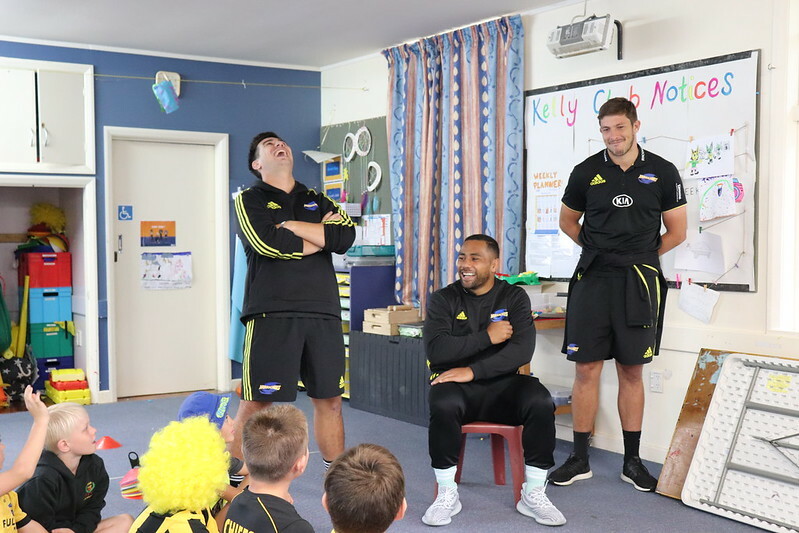 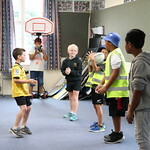 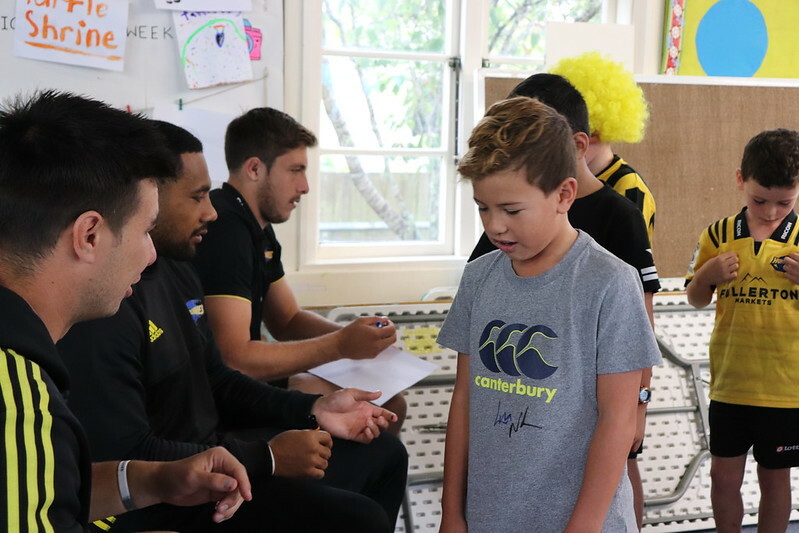 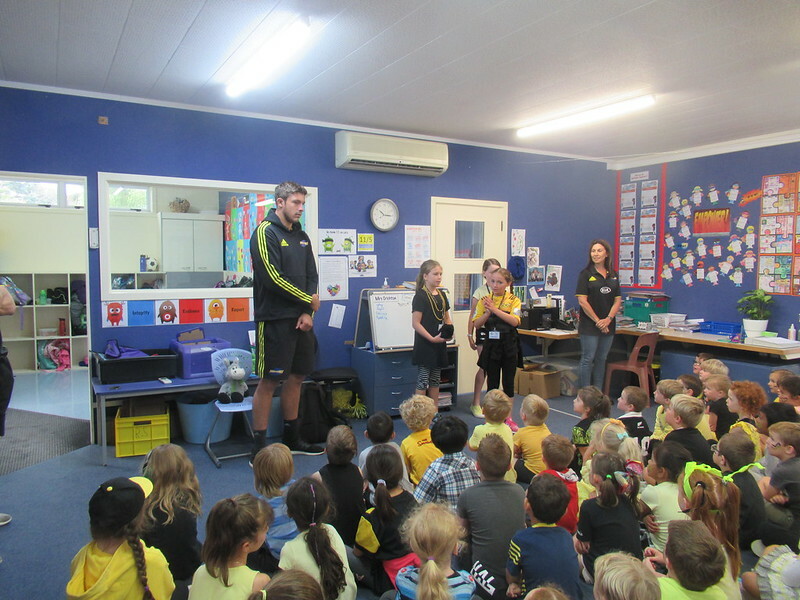 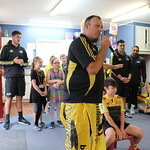 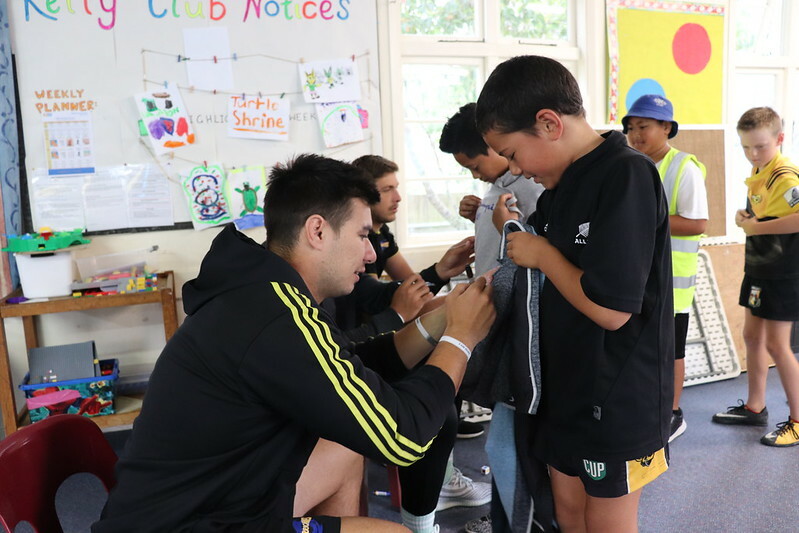 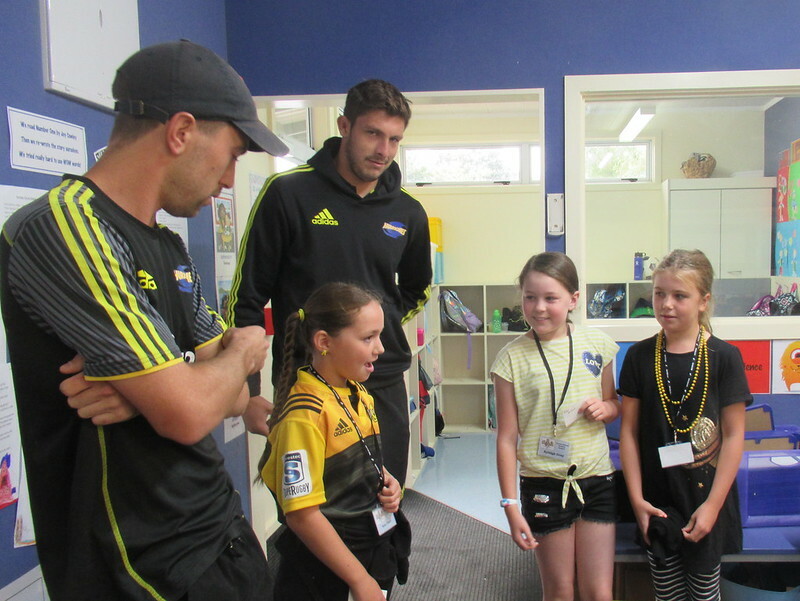 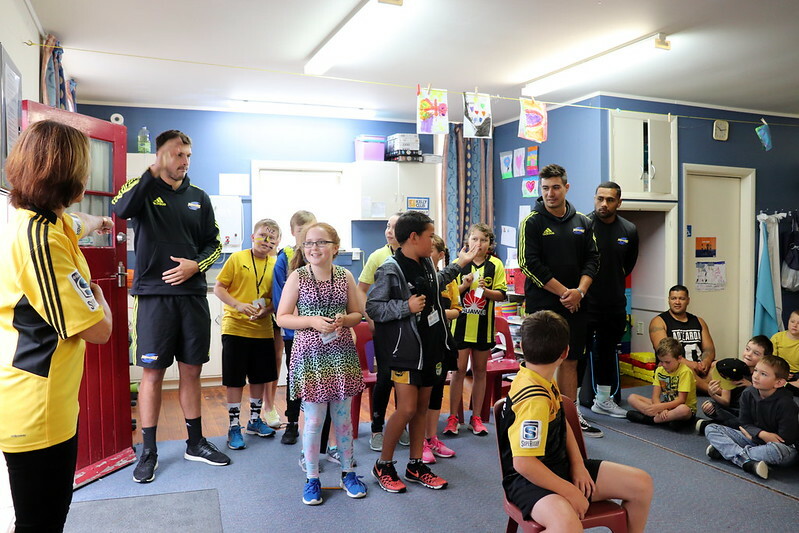 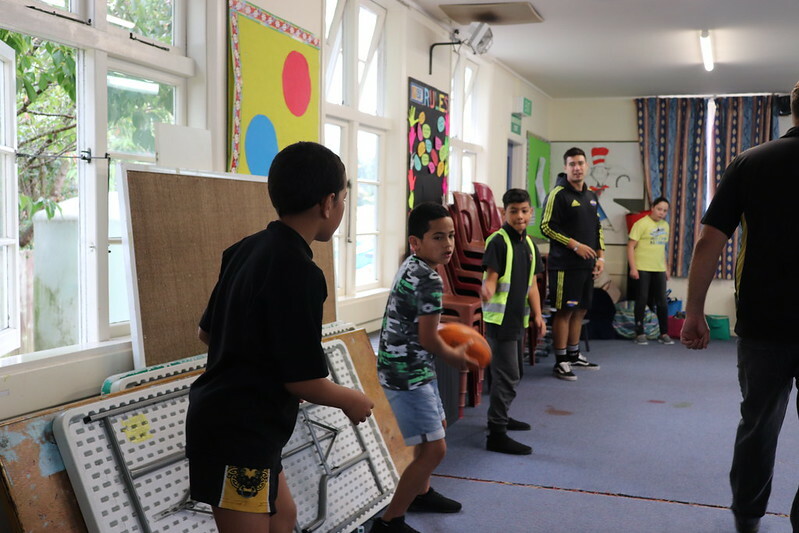 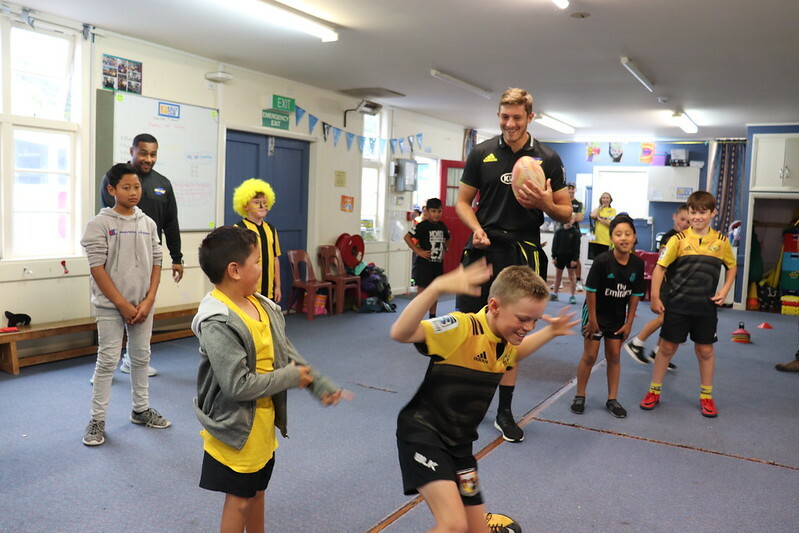 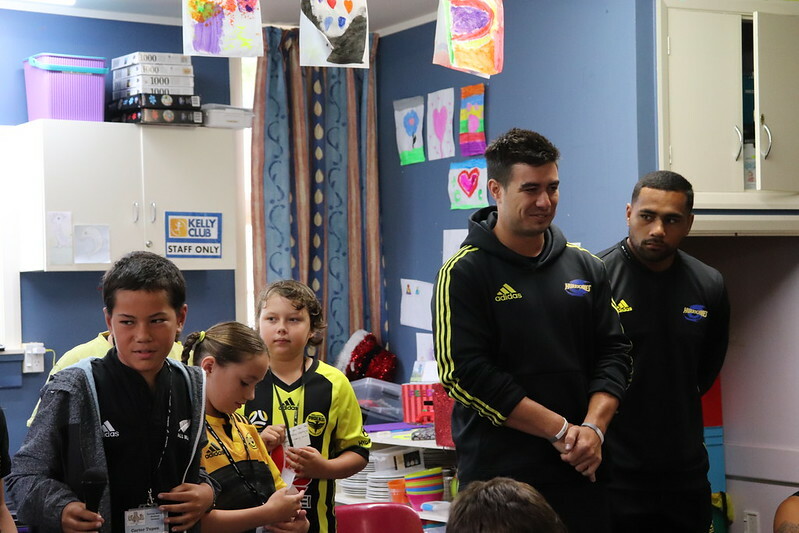 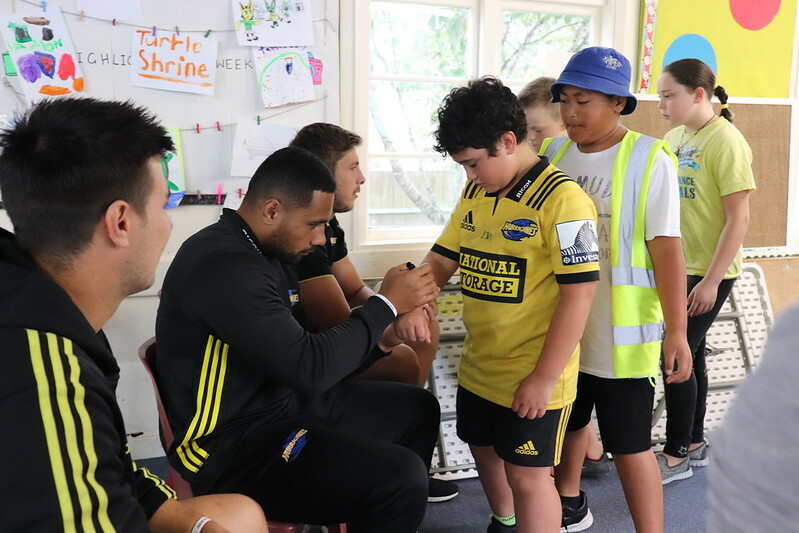 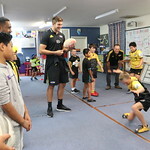 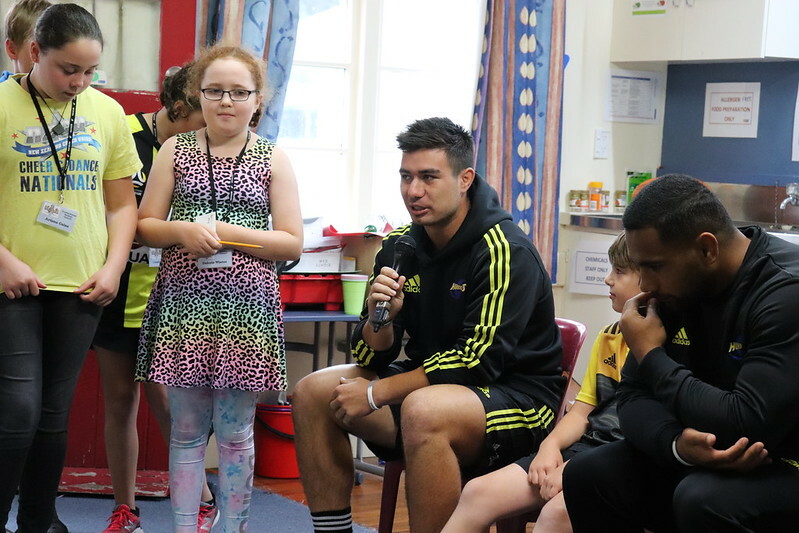 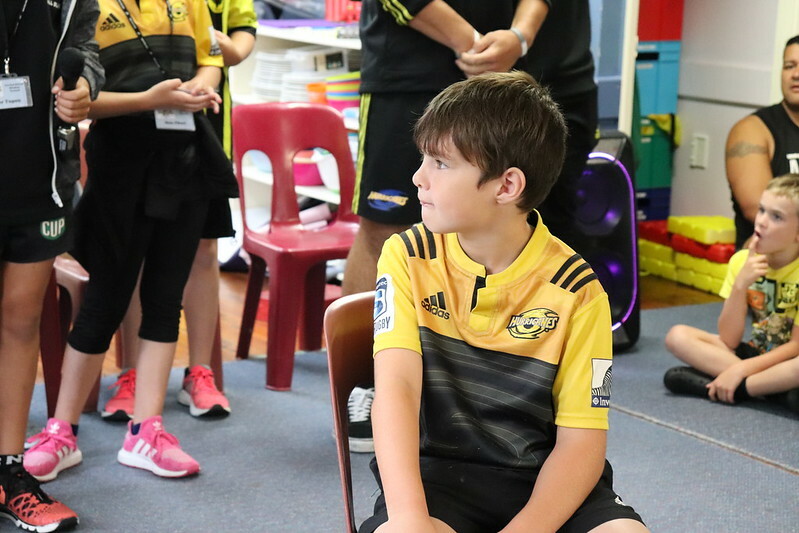 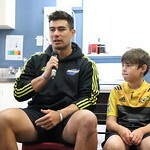 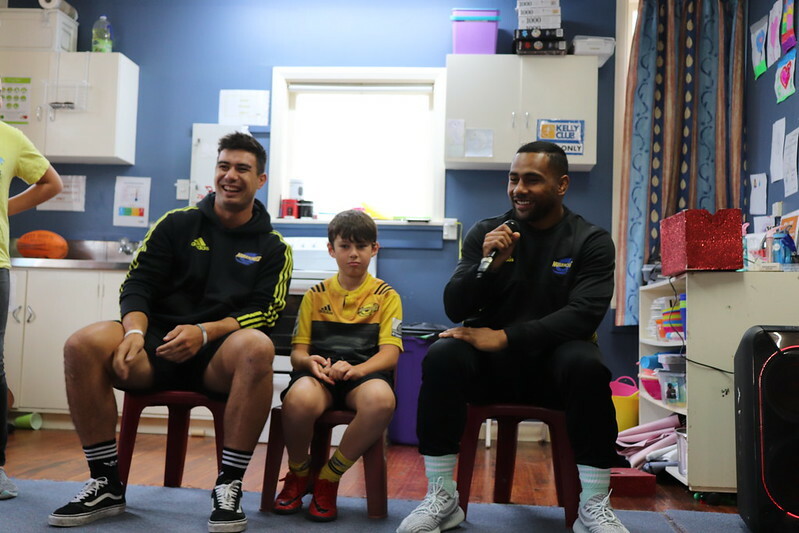 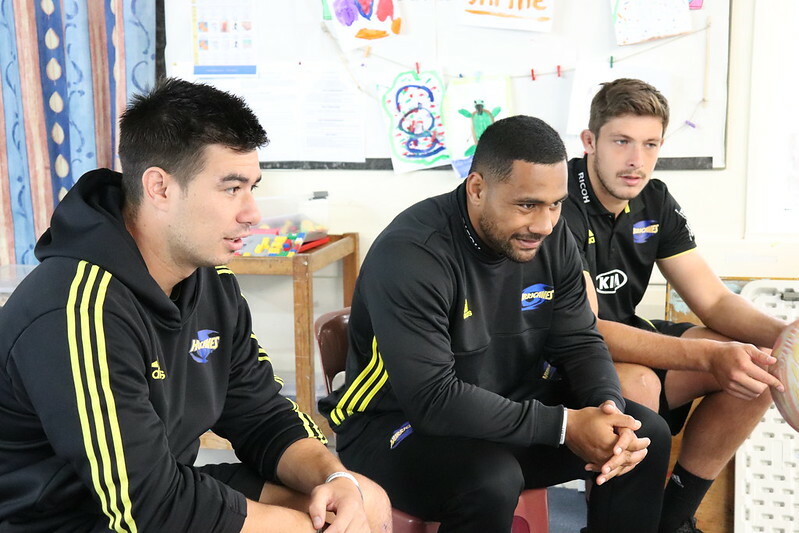 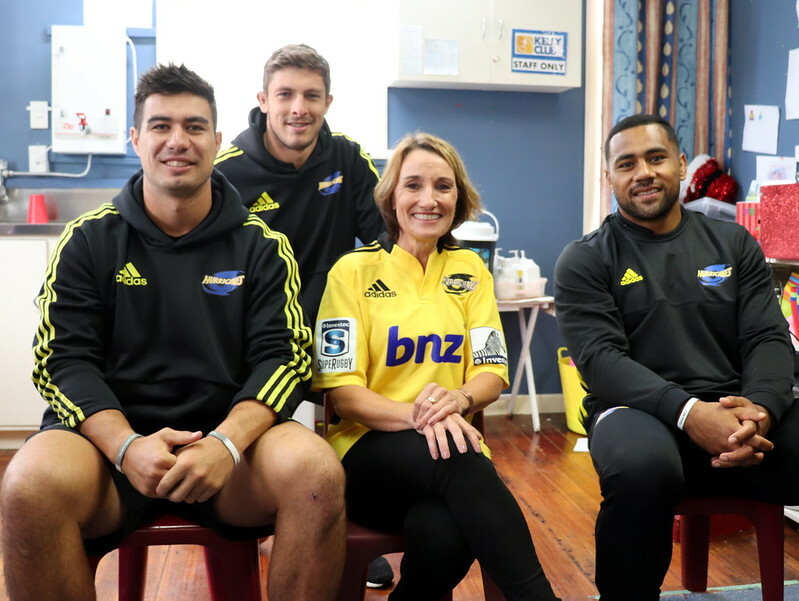 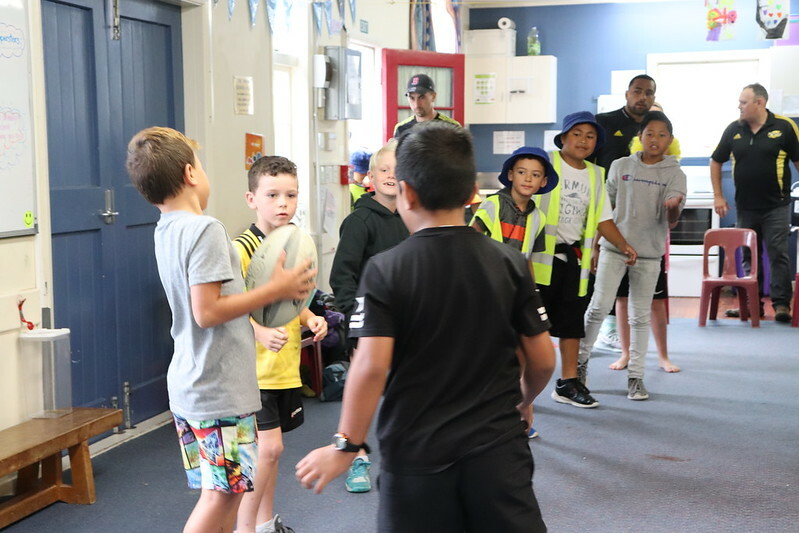 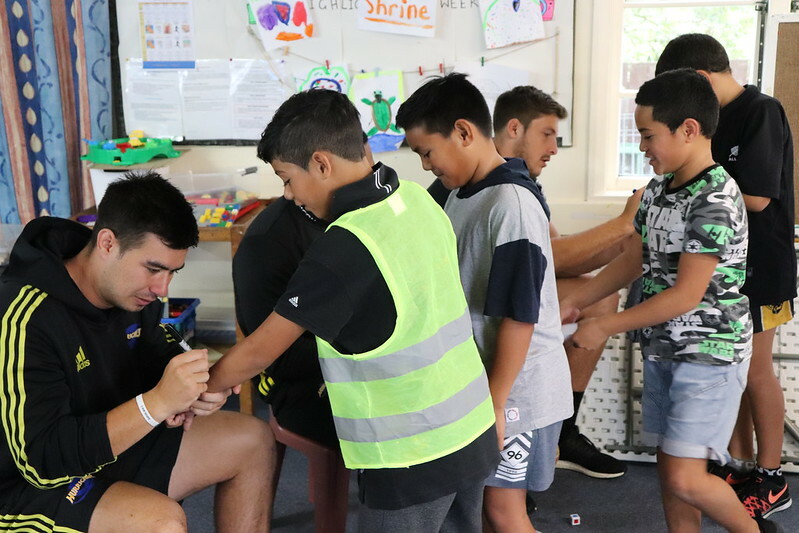 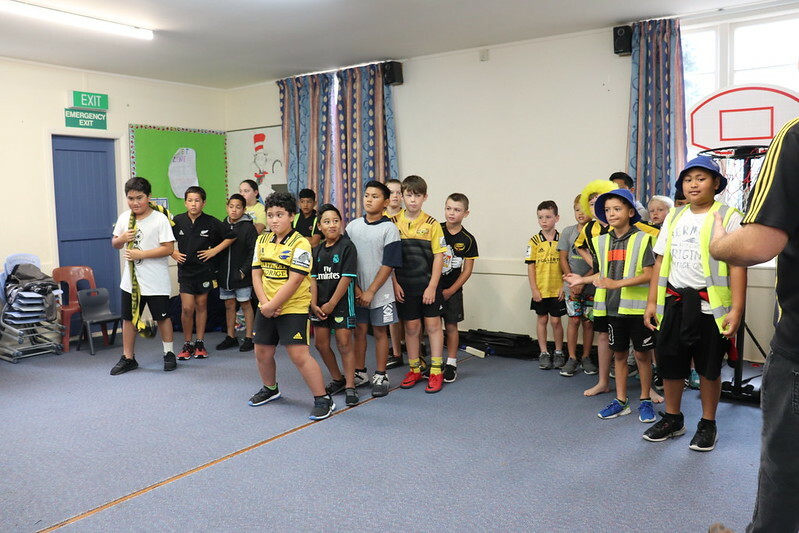 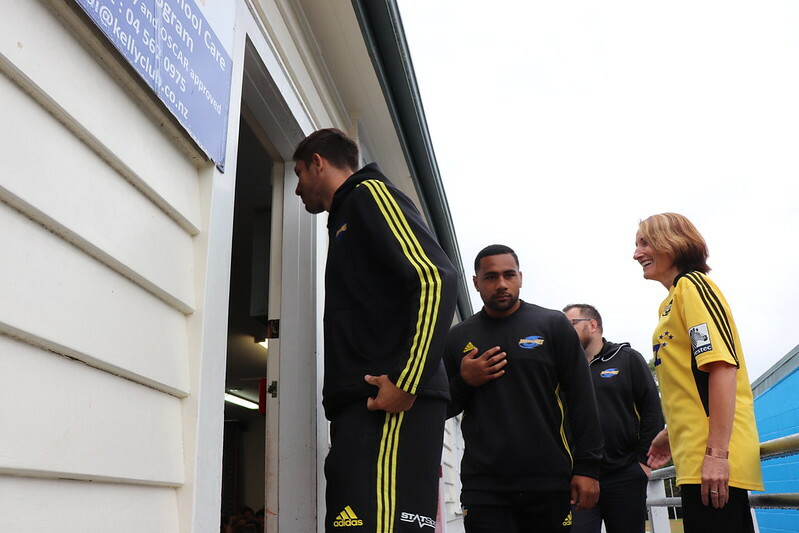 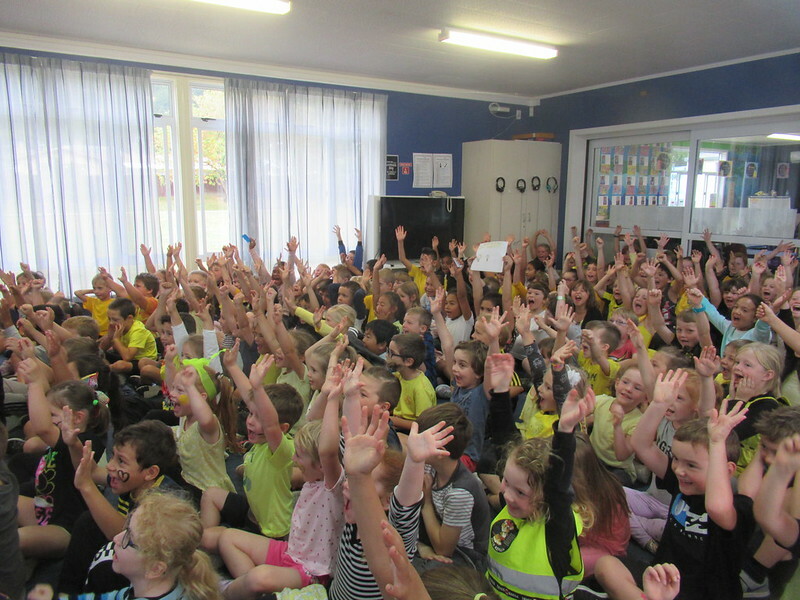 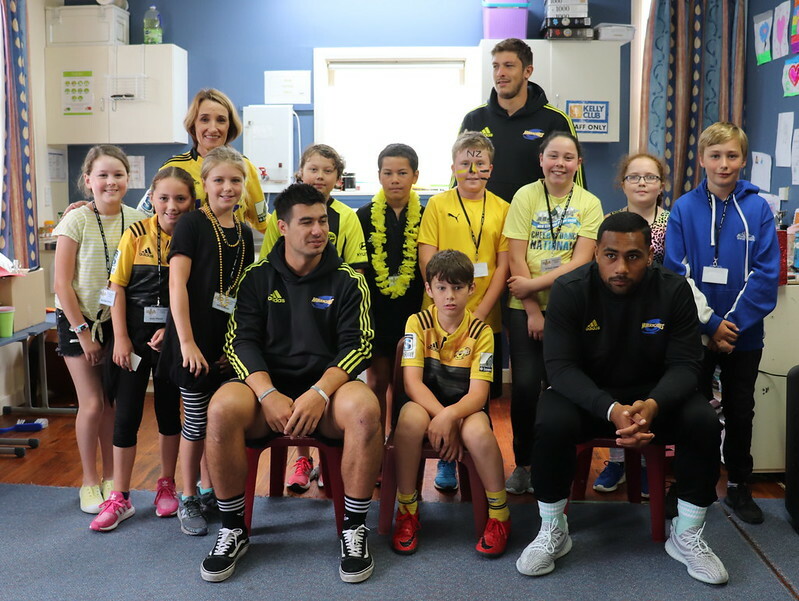 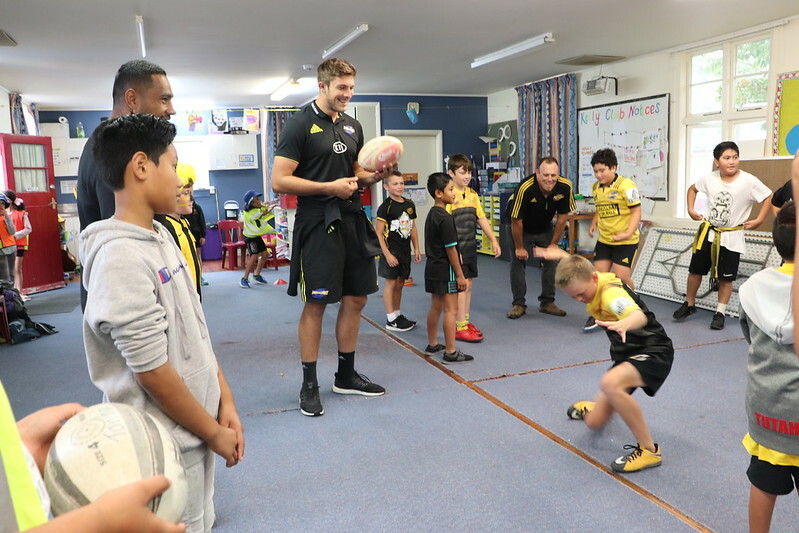 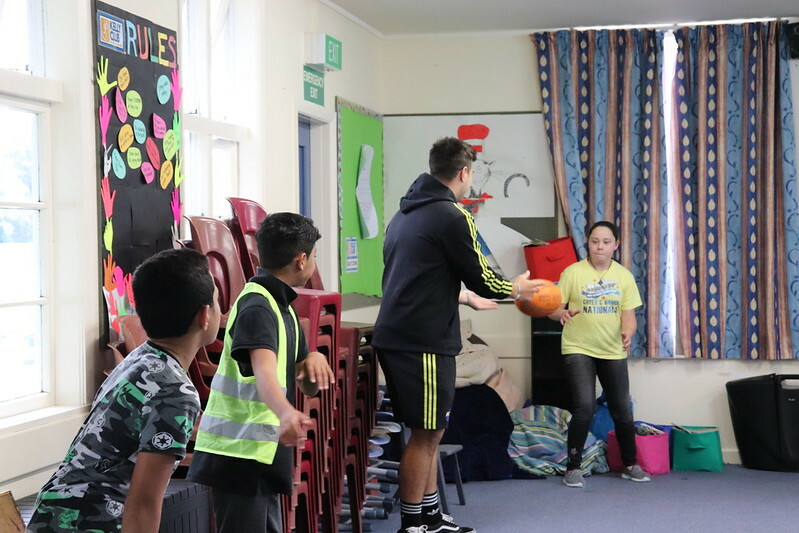 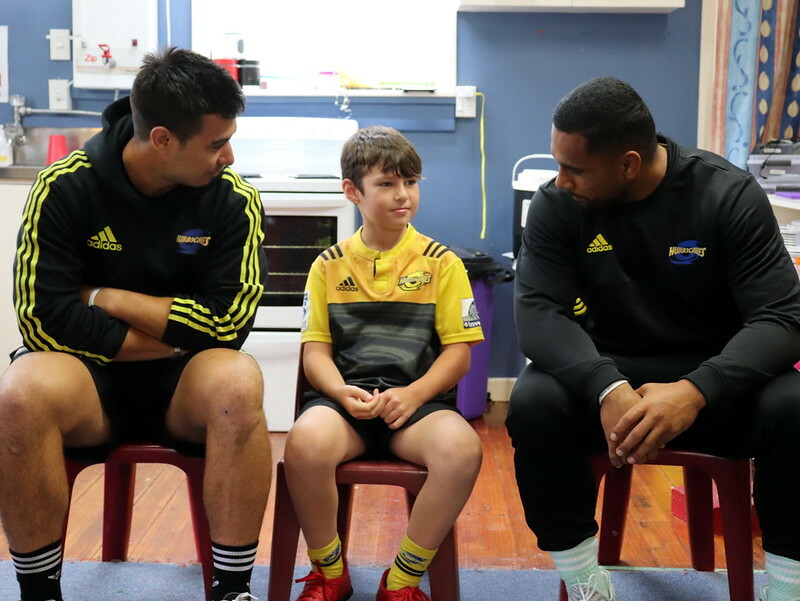 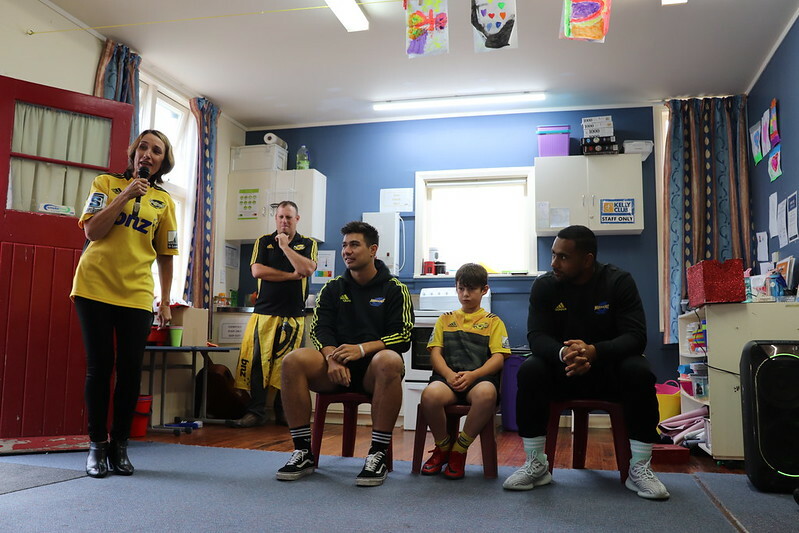 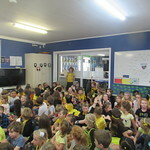 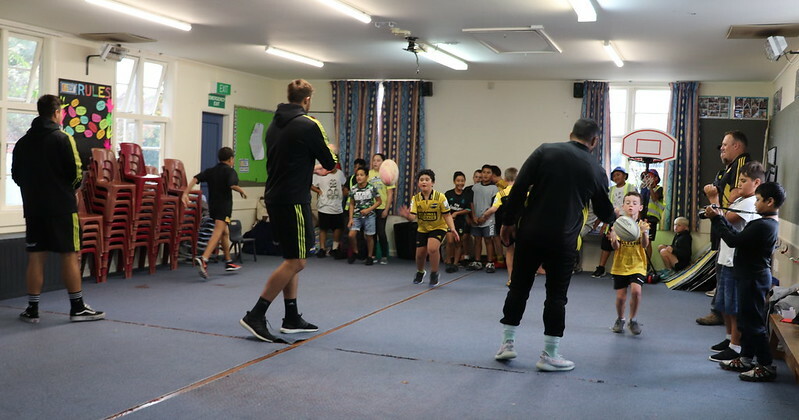 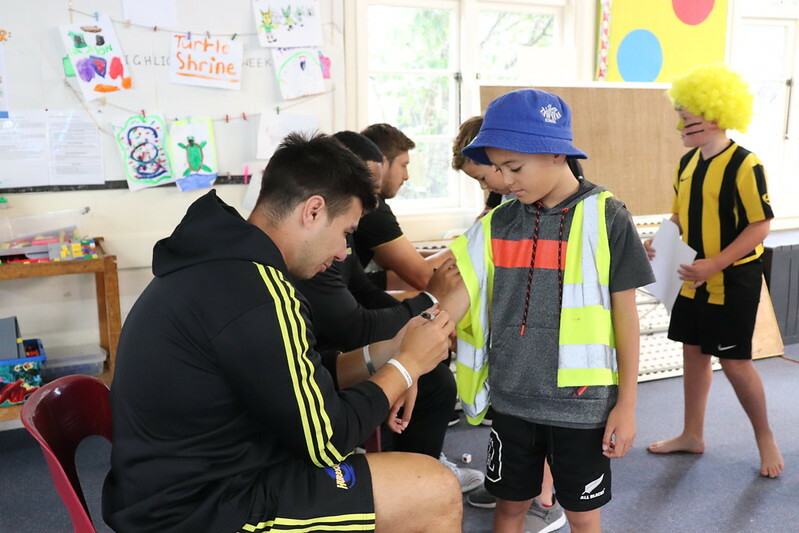 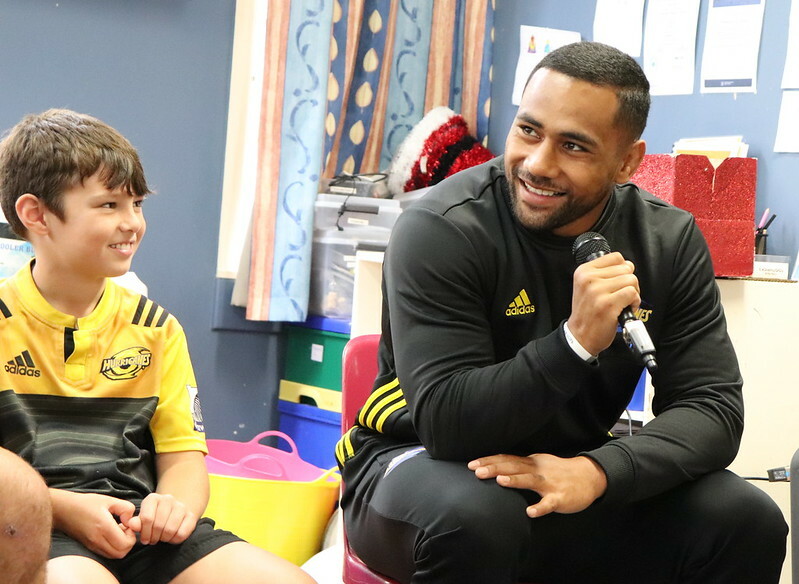 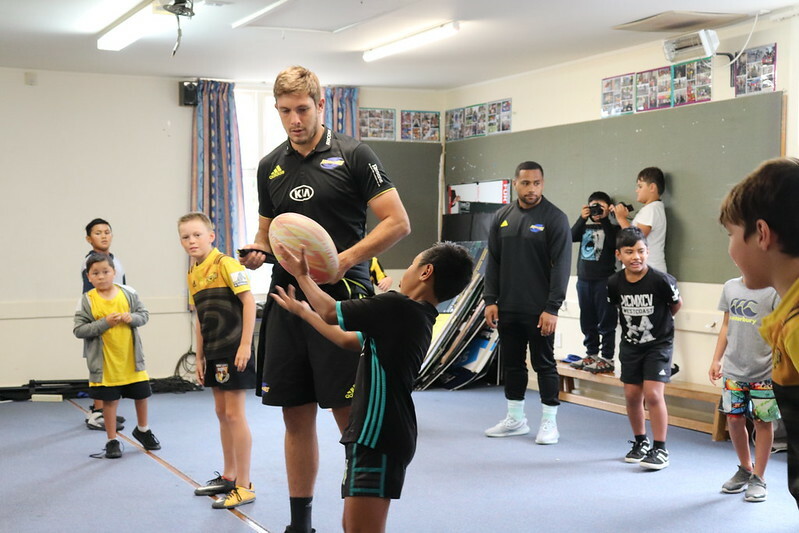 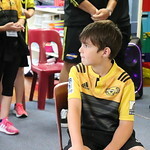 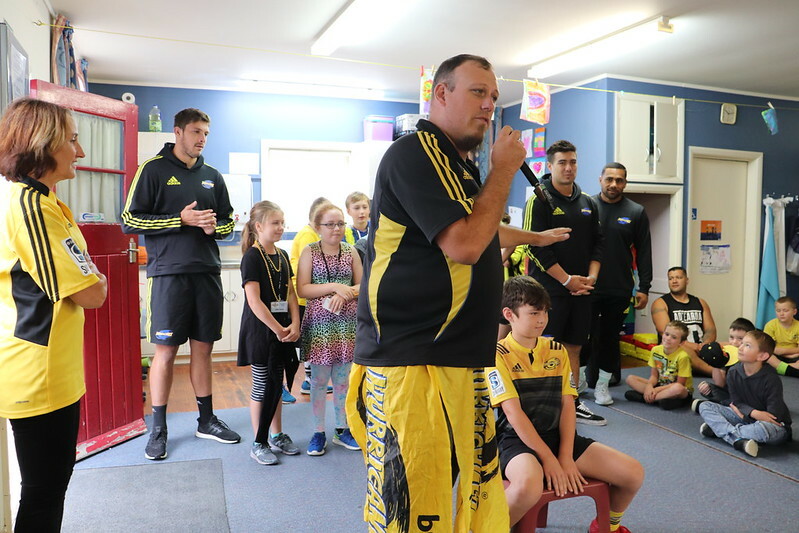 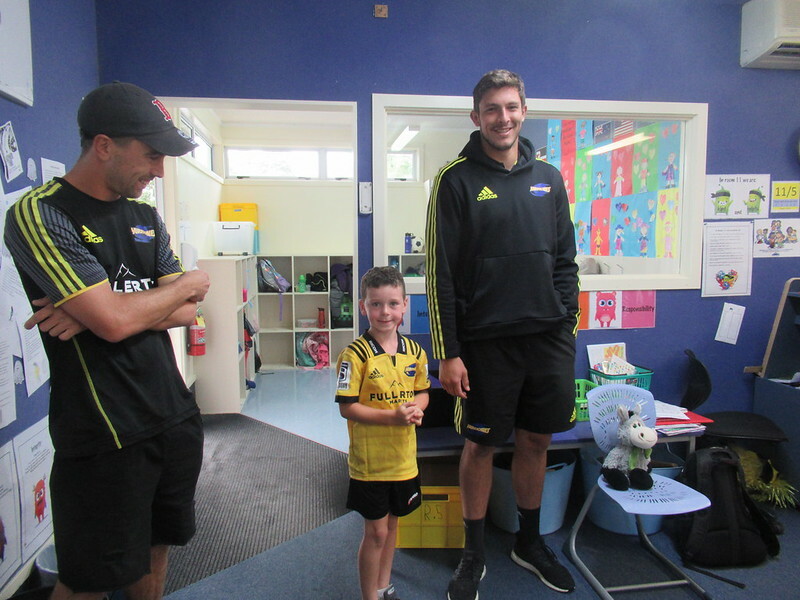 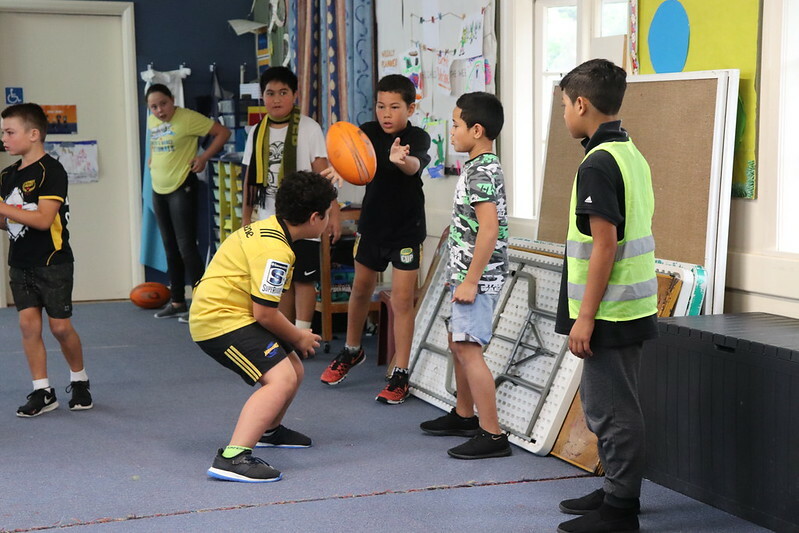 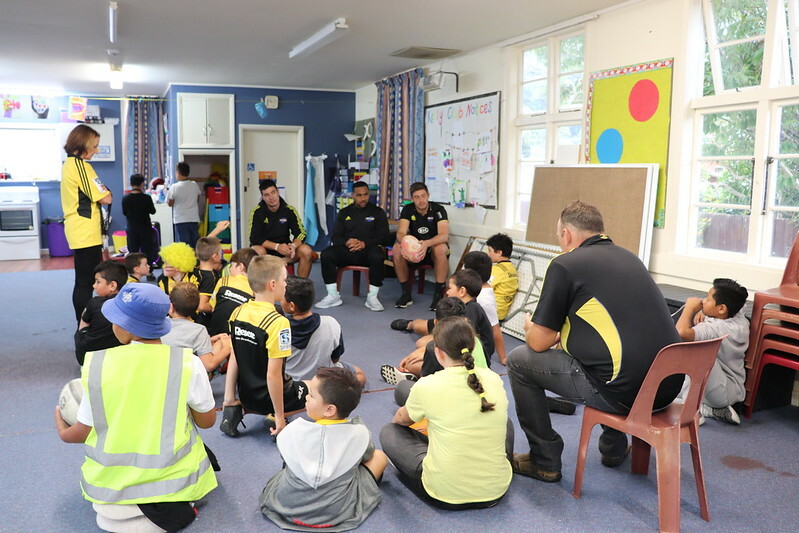 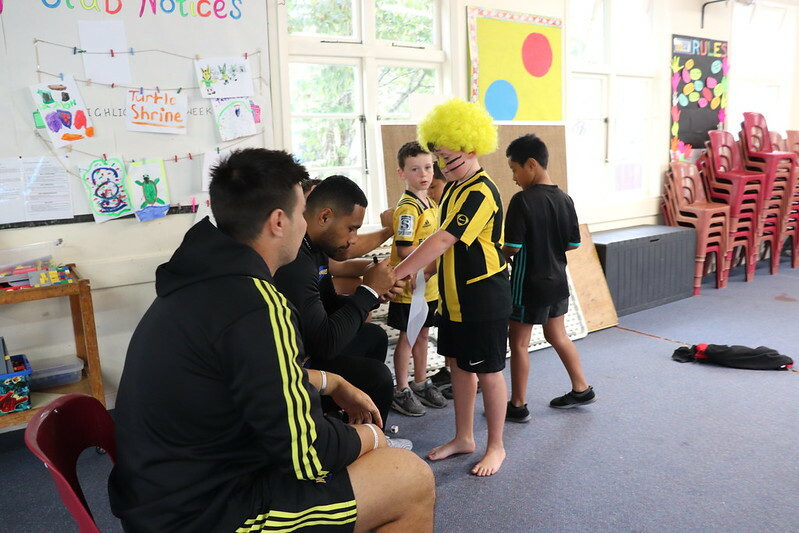 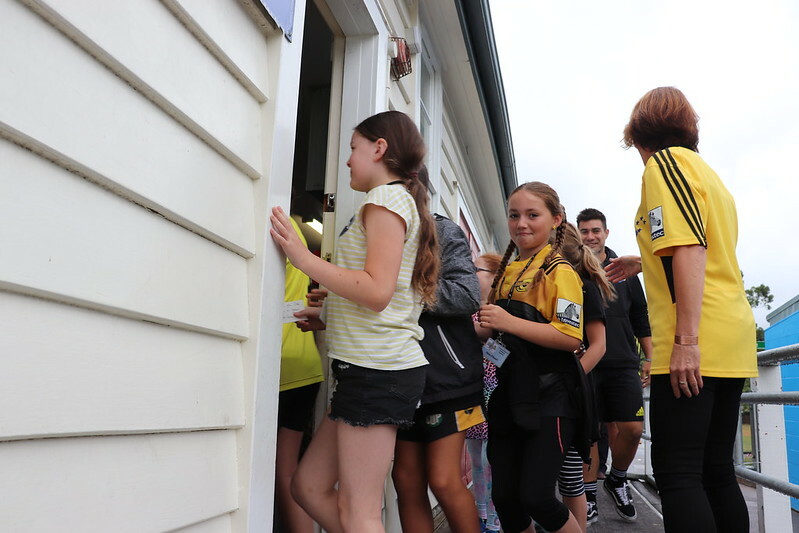 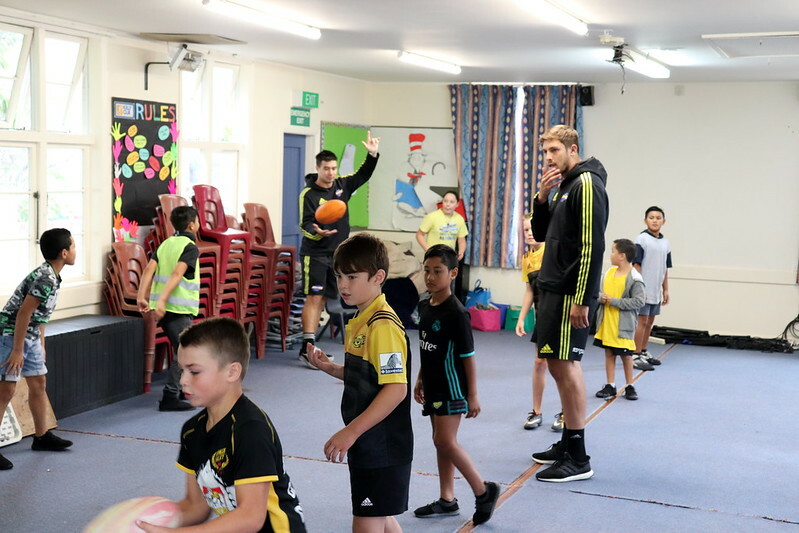 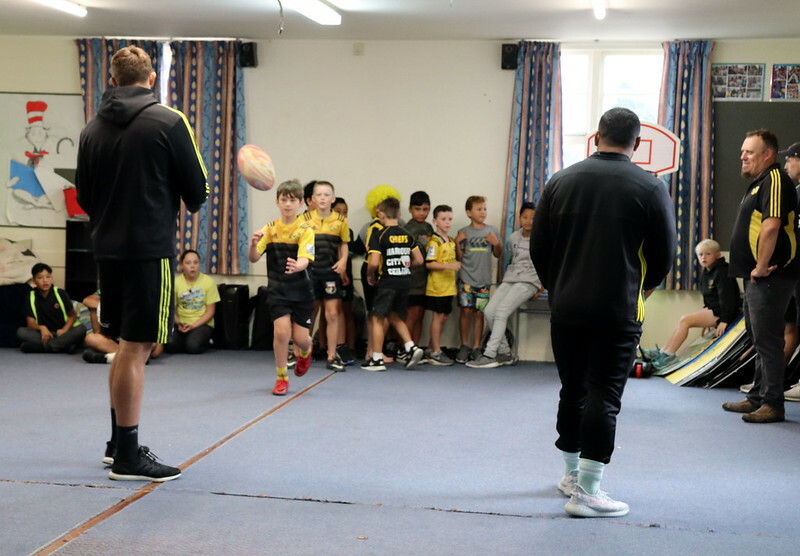 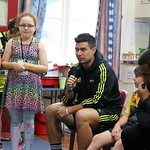 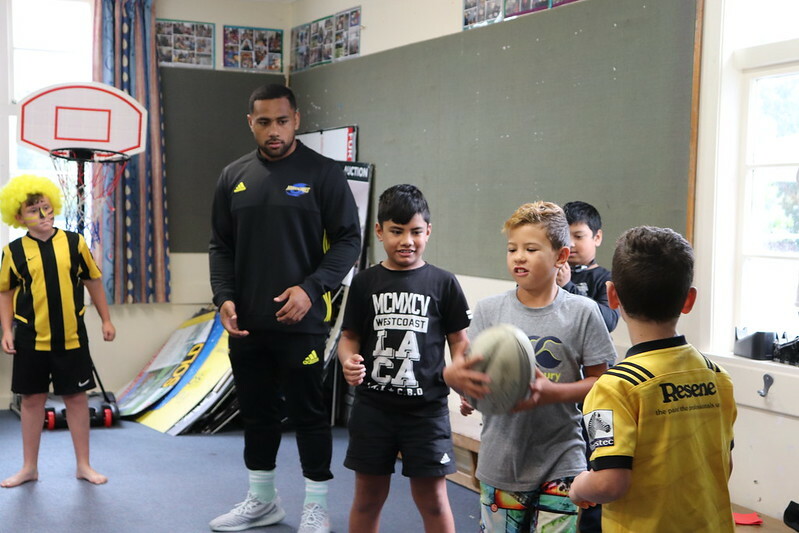 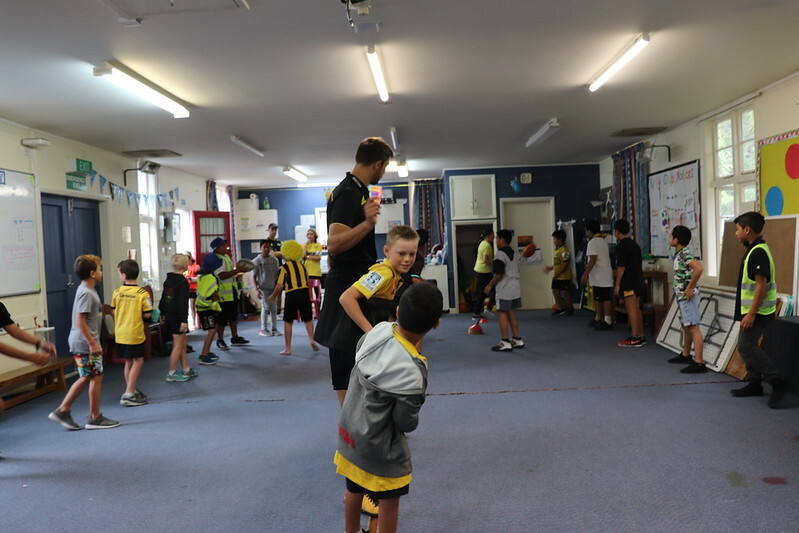 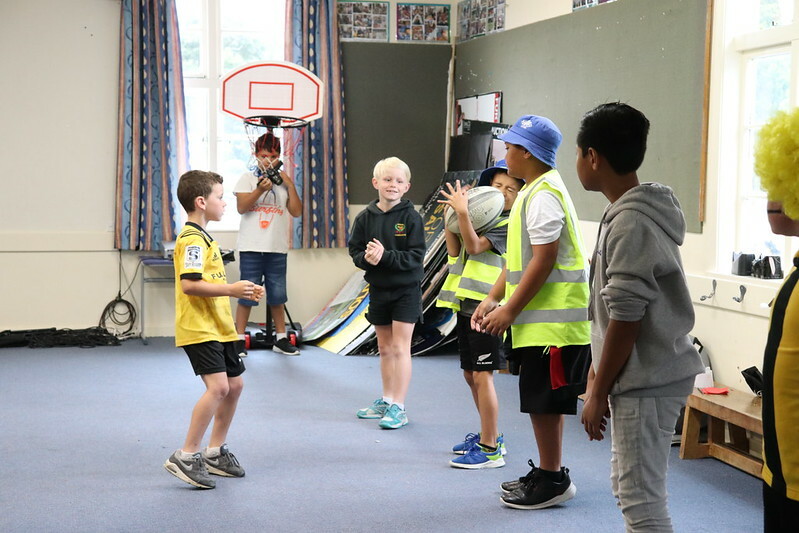 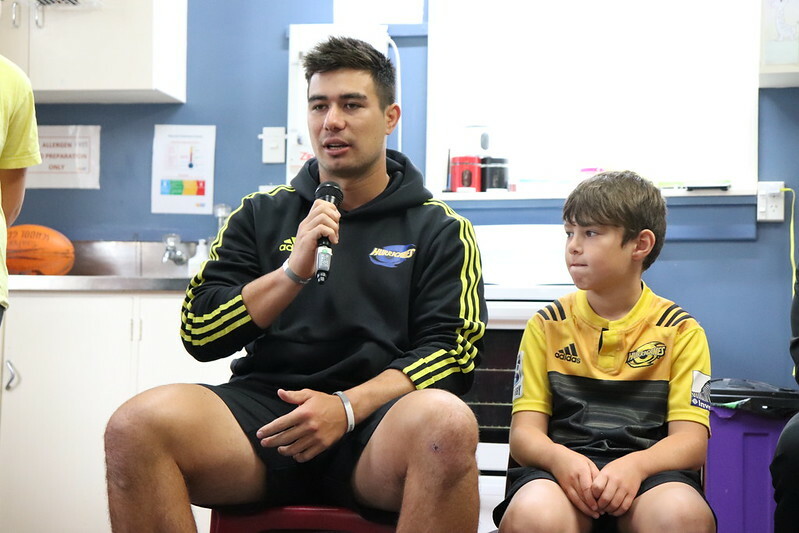 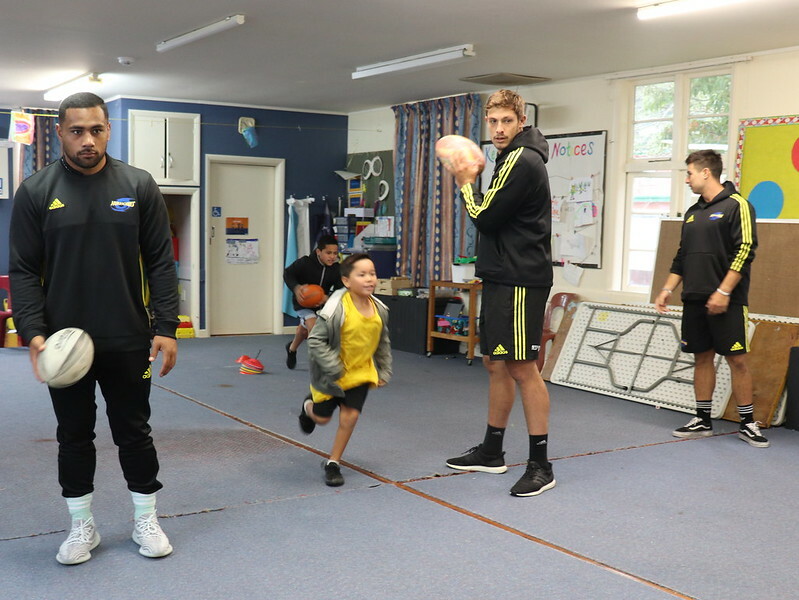 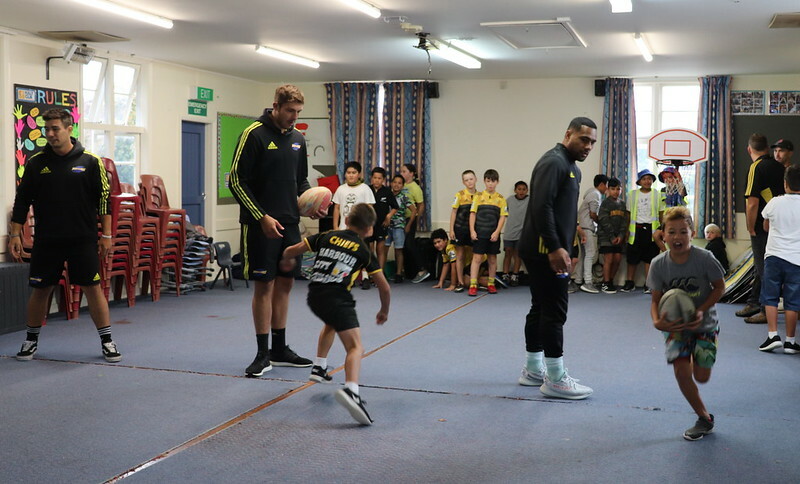 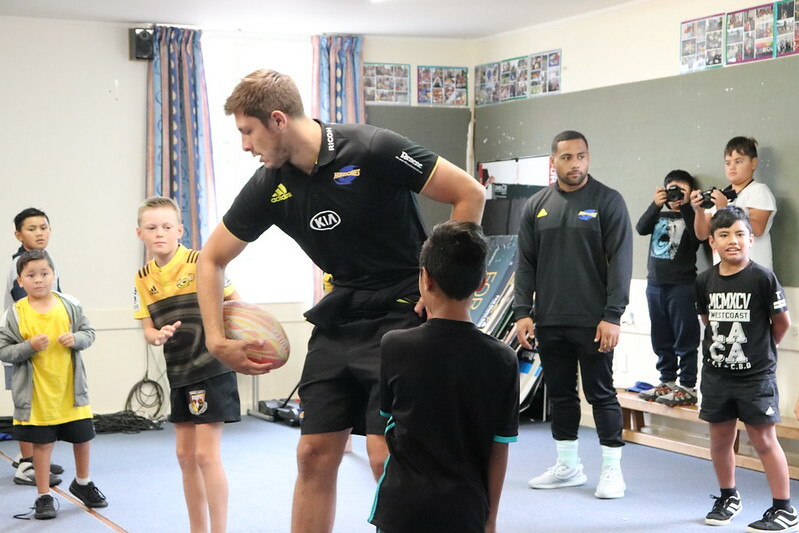 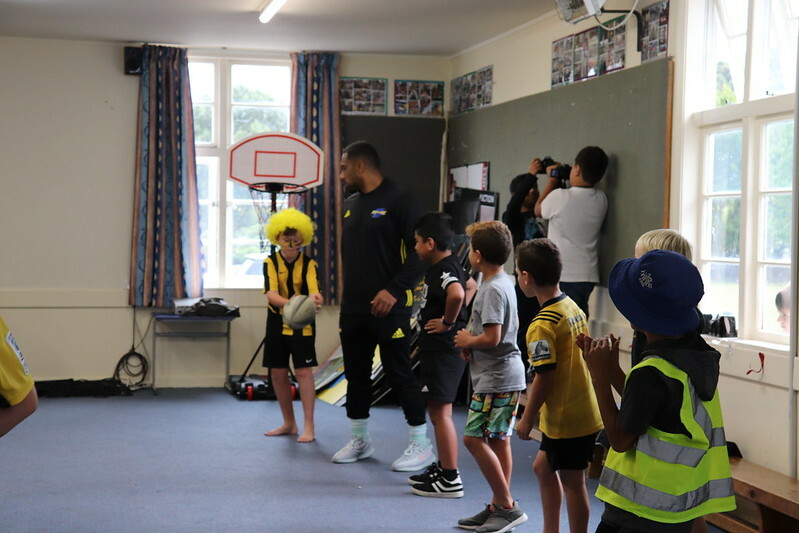 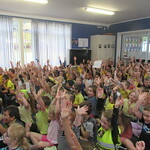 Tawhai Student Luca Wright, from Room 5, recently won a Hurricanes competition and had a choice of prizes, either signed merchandise or a visit to Tawhai School by Hurricane players. 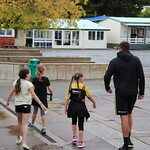 He generously decided on the latter and that it would be a good idea to surprise the other children at the school. 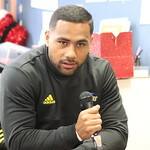 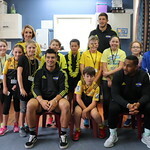 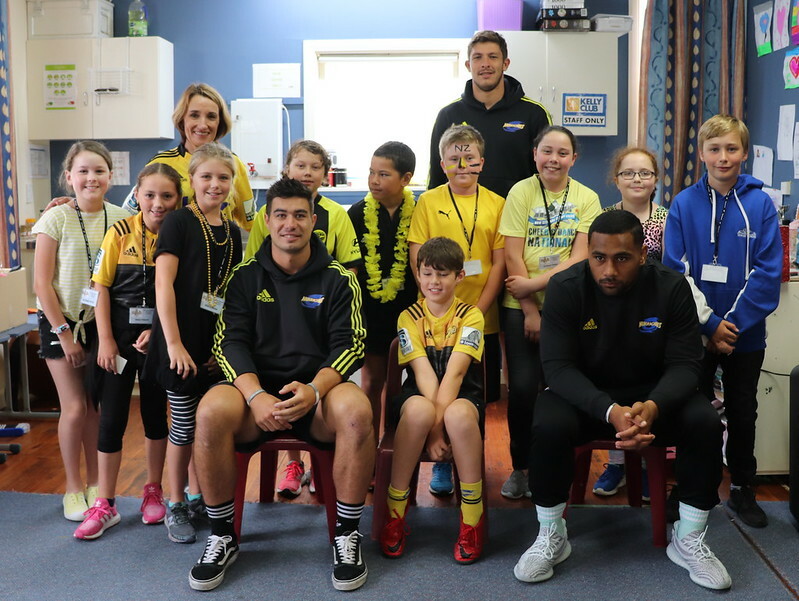 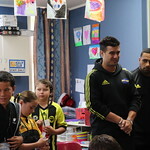 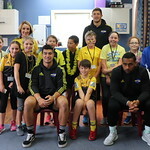 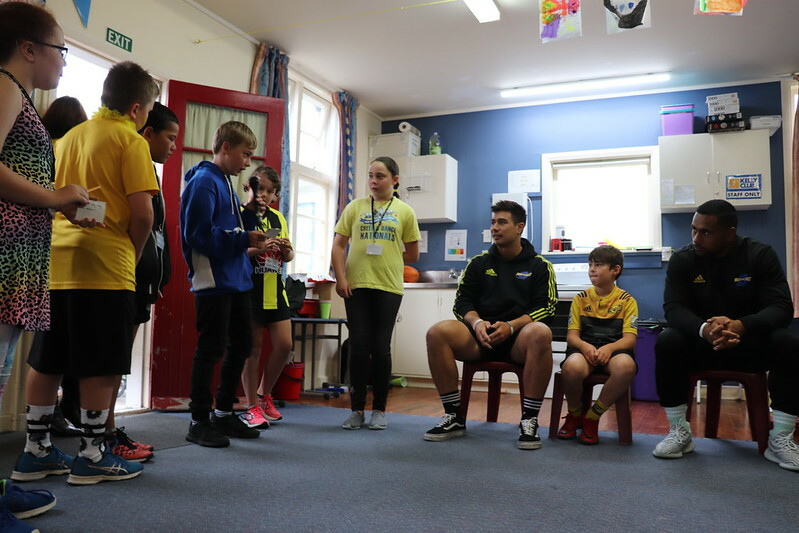 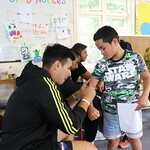 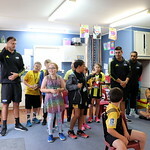 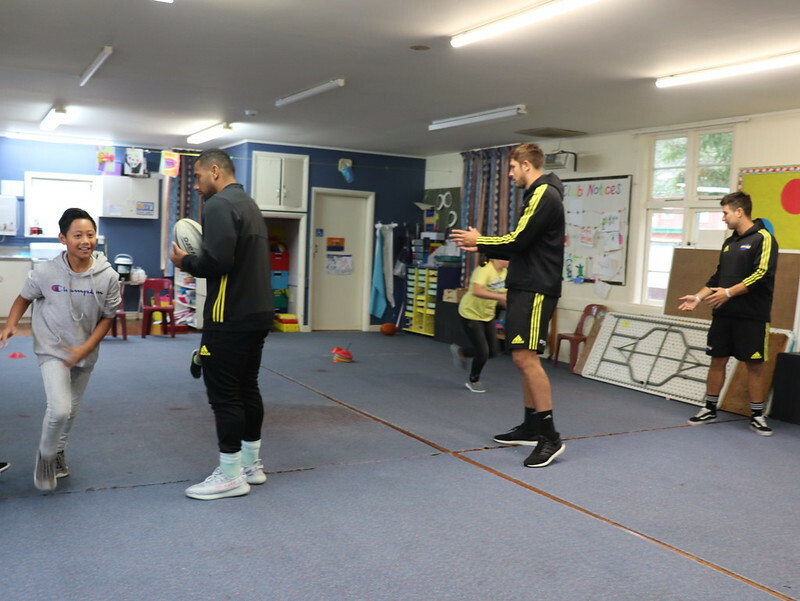 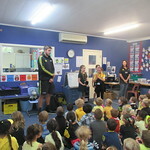 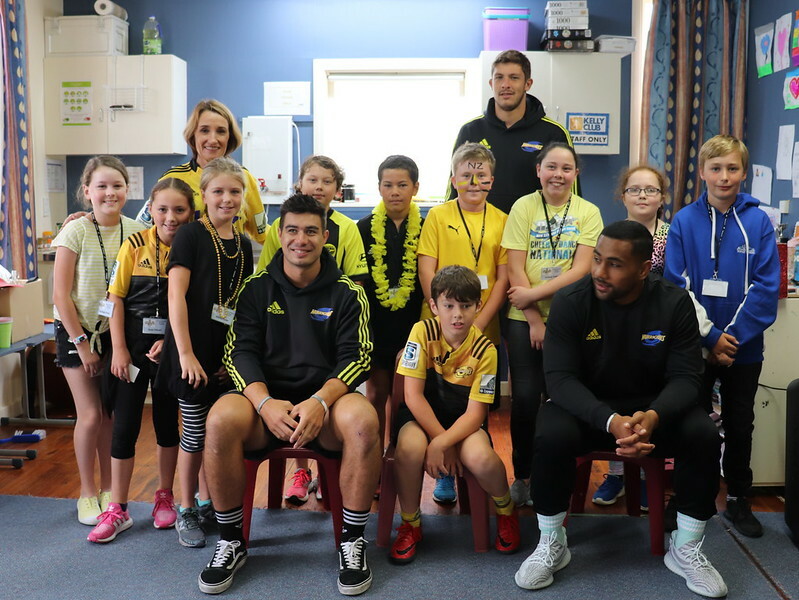 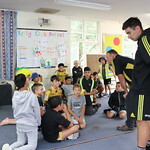 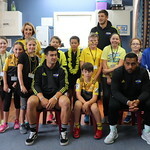 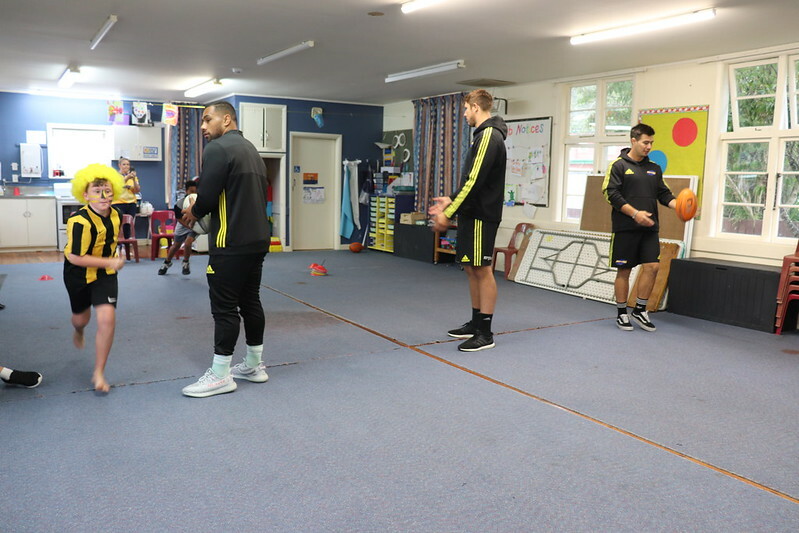 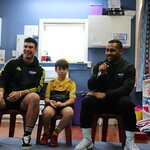 We were very fortunate that the Hurricanes visiting today were: Ngani Laumape, Jackson Garden- Bachop and Liam Mitchell. 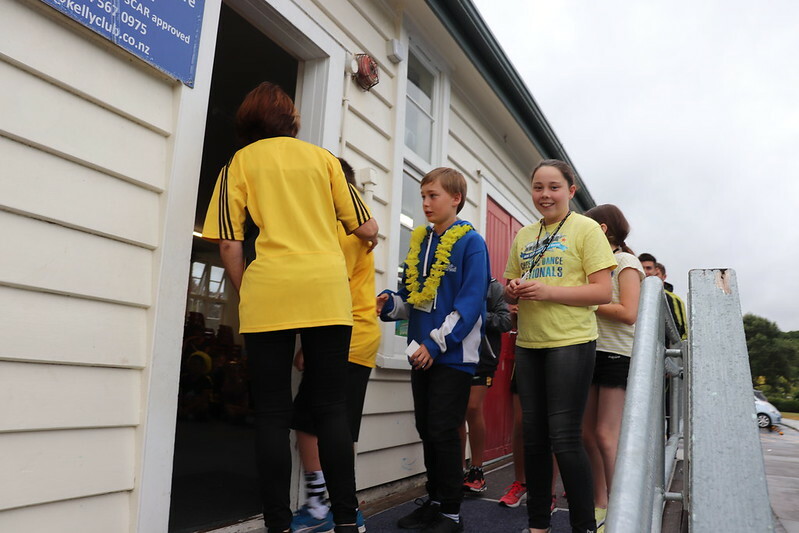 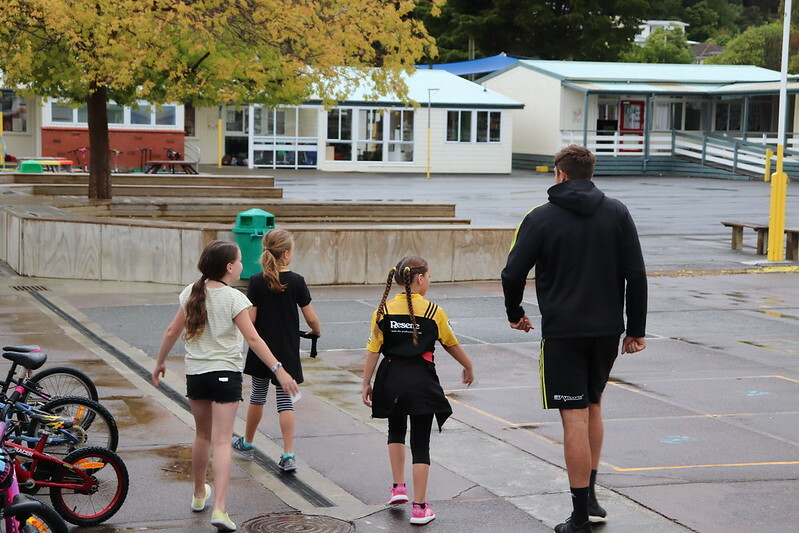 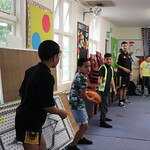 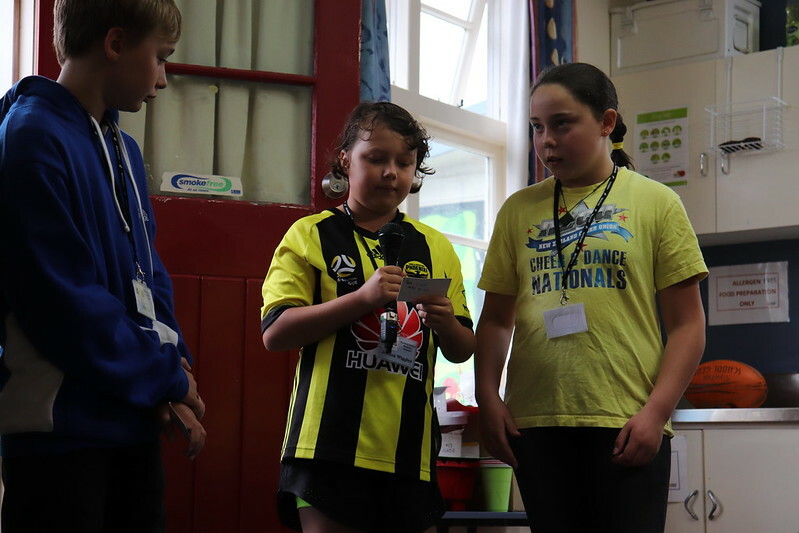 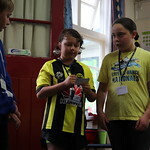 They were warmly greeted by Principal Mrs Poole and the newly elected Student Council who led them into the hall where the Nga Manu Students were singing with Matua Whaitiri. 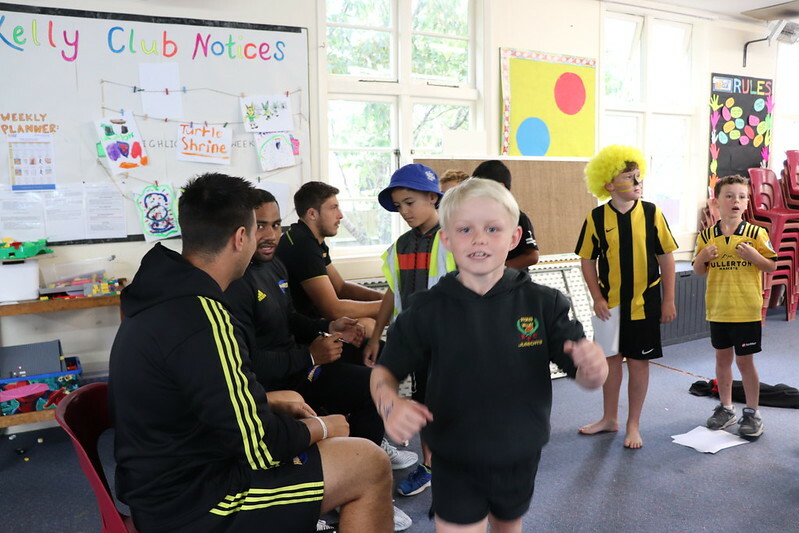 There were yells of delight from the students as the players came into the hall and were introduced. 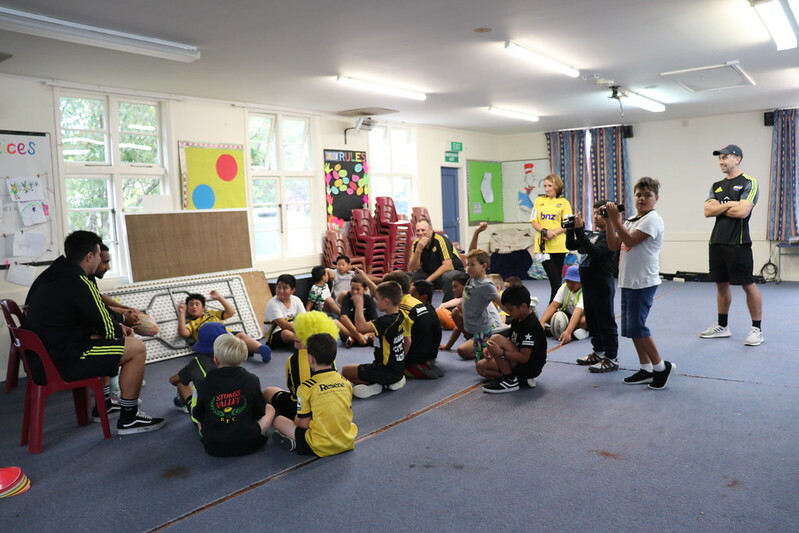 Liam Mitchell was then taken over to Room 11 where the Nga Kukari were assembled. 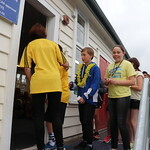 Unfortunately the sudden downpour of rain prevented us from gathering the school together as a whole. 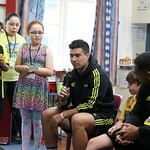 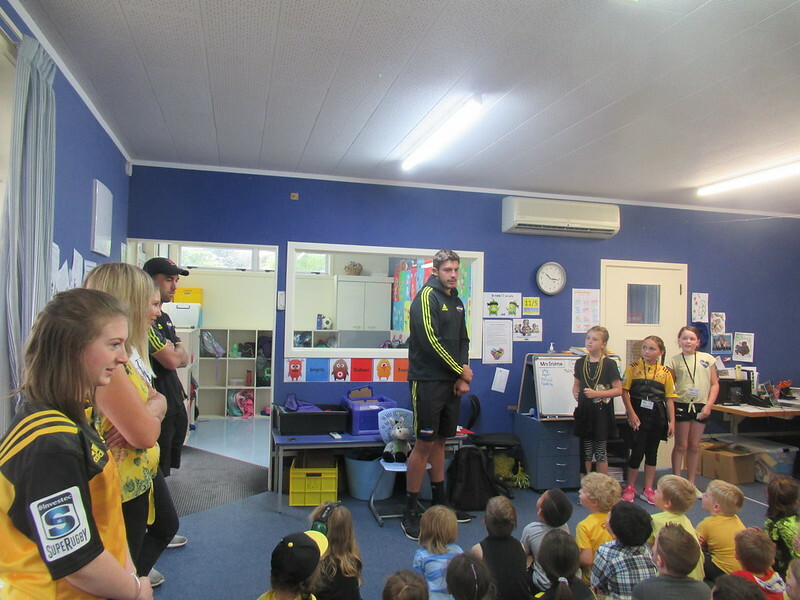 The players were invited to tell the students a little bit about themselves before being asked some very thought- provoking questions by the Student Council. 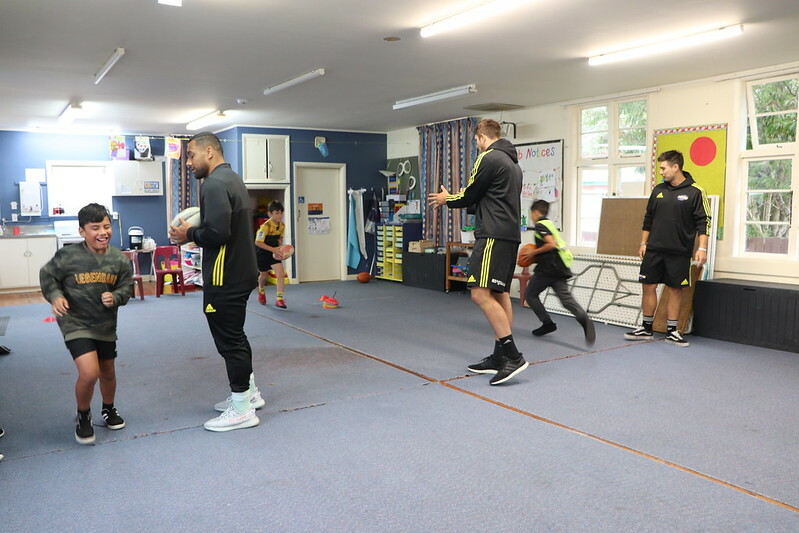 Afterwards, because of the wet weather, Mr Whiteman led a few ball drills with a small number of students and our visiting players. 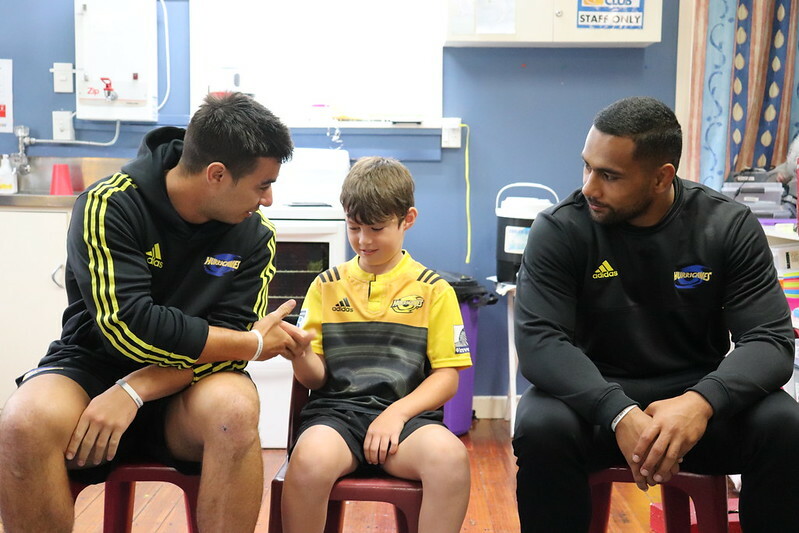 THANK YOU Luca. 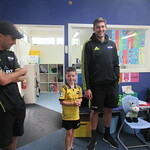 What an awesome surprise!